Christopher T. Colwell (“Chris”) concentrates his practice in the areas of commercial real estate transactions, representing owners, sellers, and developers in a variety of transactions, including acquisitions, dispositions, joint ventures, routine and complex leasing matters, financings and development of commercial real estate properties throughout South Carolina and the United States. 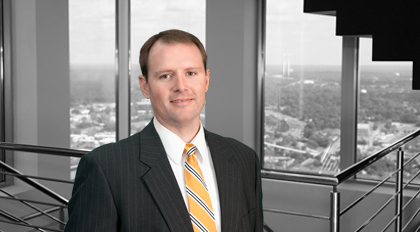 In addition, Chris has significant third-party legal opinion experience for real estate lending in the State of South Carolina. Chris also represents various lenders and other financial institutions in all aspects of commercial real estate loan transactions, including the drafting of loan documents and due diligence analysis and review. Chris obtained his Juris Doctor degree from the University of South Carolina, where he served on the 3L Class Gift Committee and in the Peer Mentor Program.